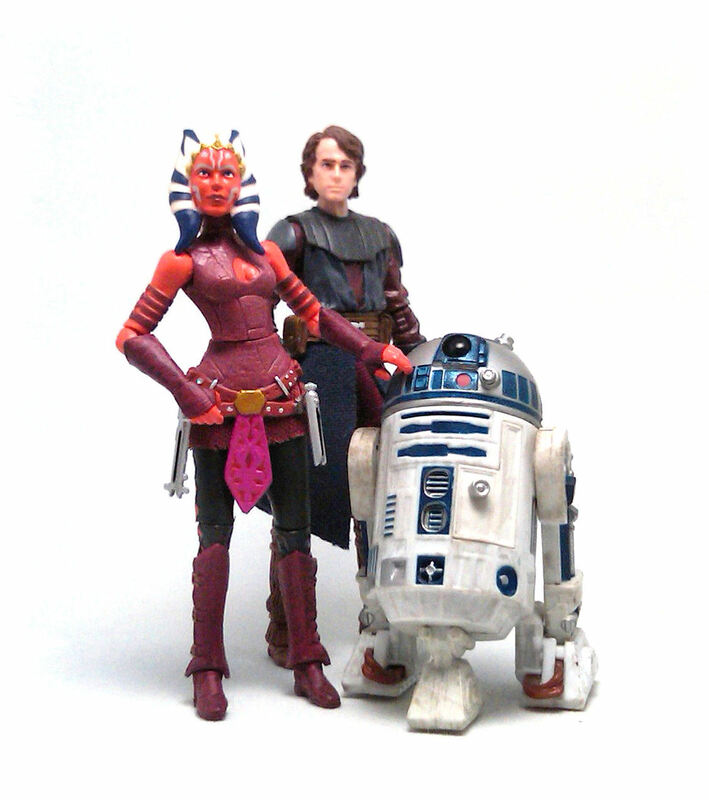 Jedi padawan Ahsoka Tano is another of the characters included in the last wave of Hasbro’s Star Wars Vintage Collection. This means, of course, that the figure was sculpted in the realistic style, and since there is no live-action frame of reference, the sculptor had free reign to come up with a portrayal for the character, which turned out to be rather good, in my opinion. 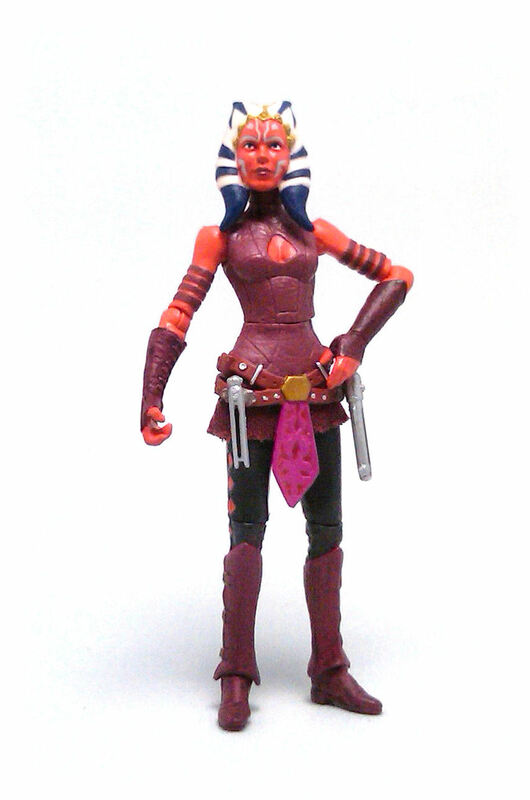 This Ahsoka (VC102) wears the more recent costume she uses in the TV series and she is a bit older, so she is sculpted more like a teen than a child, even though she seems to be rather tall for her age. Her costume has a lot of texturing and at the torso there are fairly large openings at her chest and back, with more diamond-shaped openings alongside her legs. The face sculpt is pretty, in an oddly generic kind of way, with her head-appendages being shorter than those sported by older members of her species. Neither Hasbro nor Lucasfilm have been particularly consistent in the way these aliens are portrayed in different media over the years, but the Clone Wars design is slowly getting to be the de facto standard. 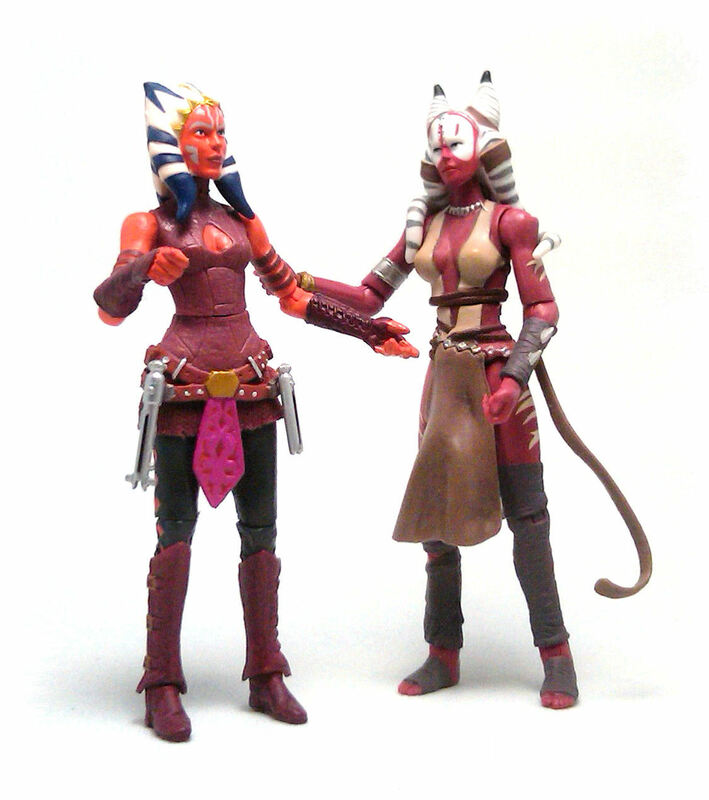 Ahsoka has a rubber belt piece that hangs over her hips along with a very short fabric skirt, both of which allow a pretty good motion range to the legs. 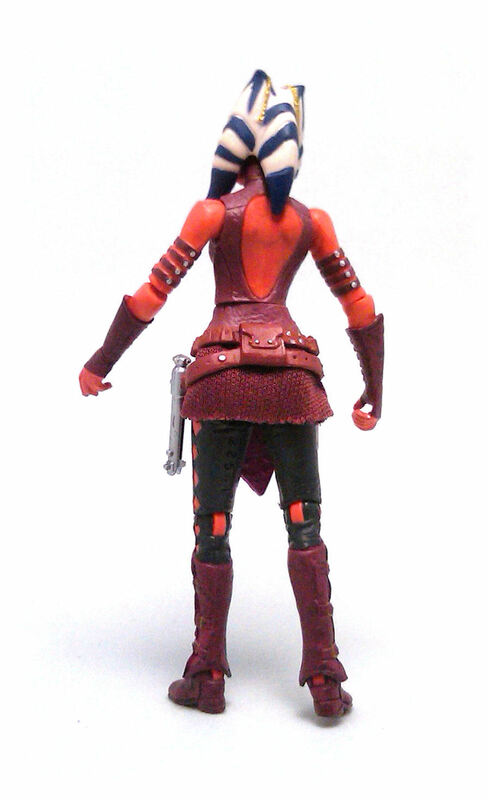 Her neck joint gets some limitations because of the rubber tendrils on her head, but then again, that is generally expected on characters with such characteristics. Even though her color palette is fairly small, Ahsoka has a lot of paint applications going on, consisting mostly on the skin patches visible through her outfit, her facial tattoos, head markings and small decorative accents done in metallic paints. All of these paint operations look very neatly applied on my figure and even though the articulation pins are molded all in the same reddish plastic, this time around they don’t look too out of place thanks to the costume design. 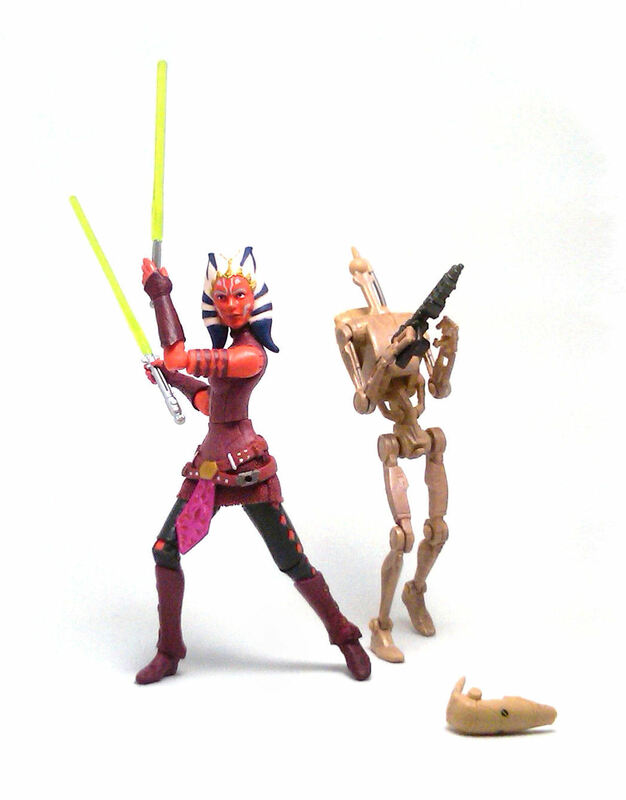 Ahsoka comes armed with her customary pair of green lightsabers, one long and one short, and the respective deactivated hilts that can be attached to the holes on her belt. On the ignited sabers the blades are translucent green plastic, while the four hilts are painted bright silver with black detailing on them. Overall, this is a mighty fine effort by Hasbro. 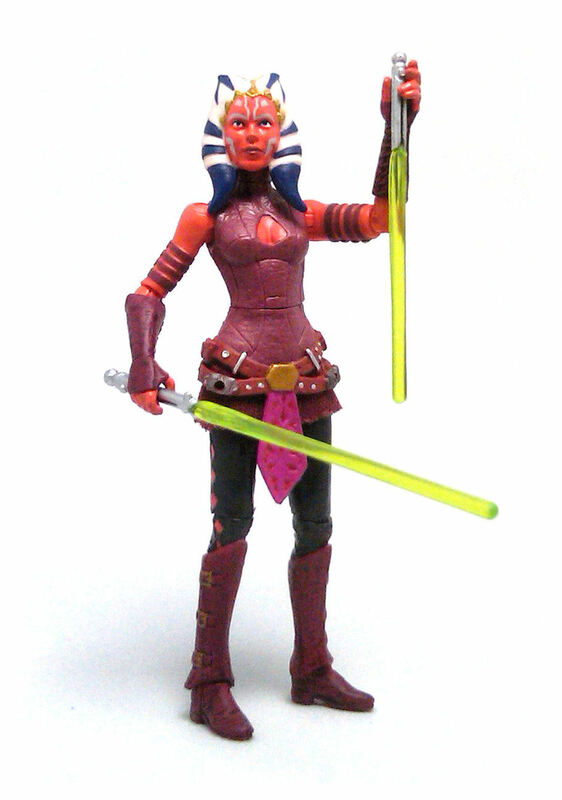 I would not have expected them to produce a realistic version of this character, but Ahsoka turned out to be quite a nice figure and one of my favorites from this last wave.